﻿ What’s preventing you from implementing a translation management system? What’s preventing you from implementing a translation management system? In today’s highly competitive market, it is important to minimize expenditures—in both money and time—on management, business continuity and internal communications. In addition, it is important to be able to instantly access any information related to the company’s vital functions. This is extremely difficult to do without special software to maintain databases of customers and vendors, coordinate projects and monitor deadlines, organize files, create invoices for customers and record payments received, generate financial reports and perform numerous other functions. 3) it can use management software to automate its business processes. The first two options will end up leading nowhere: no company will be efficient if it simply lets its business run its own course or uses obsolete tools. That leaves only the third option. There are various systems available today for managing any type of organization, from agribusinesses and beauty salons to holdings and government agencies. Translation and localization are no exception. Any translation agency can improve the efficiency of its work by choosing a business management system based on its particular needs. Our research revealed, however, that less than half of translation companies make use of such systems. We’ll take a closer look below at why this is the case. As it turns out, there are some small companies that are new to the business and simply don’t know that there are specialized programs available for managing a translation business. Project managers record their orders in Excel files, create invoices in Word, record payments in a separate Google table, send work to translators by email, and they don’t prepare monthly or annual financial reports at all because it takes a prohibitive amount of time. And if the company has several project managers, they all manage projects in their own way. If their boss suddenly needs to intervene, it can take a long time to figure out the circumstances involved in a particular order. In most cases, the reason that the company is unaware of available software solutions is due to the inexperience of the person who founded the company. They don’t know how to manage the company efficiently, and they came up with their own workflow, not knowing that someone had already invented the wheel. In reality, techniques for doing all these things were developed long ago. A translation company has a lot of different processes, and there are automation tools for all of them. CAT tools help speed up the translation process and allow several translators and editors to work on one text at the same time. Crowdsourcing platforms and specialized websites make it possible to quickly find vendors and assign them work. Special parsing programs make it easy to localize websites and applications. The process is sometimes sped up by the use of machine translation. All these tools in one form or another automate something, simplifying the management of some aspect of the company’s functioning. Therefore, any of them can be called a translation management system (TMS). This can cause some confusion since the term TMS can be used to refer to completely different systems. When talking about translation management systems, staff from different companies might have completely different things in mind. If you ask them if they use a translation business management system (even if you stress the word “business”), they might answer “Yes, we work with memoQ/Trados/Memsource,” i.e., mention programs with completely different functionality. In our research, about 13% of respondents answered this way, i.e., they simply didn’t understand what systems we were talking about. Every manager has a lot to do. They have to make a number of decisions on a daily basis: negotiating contract terms with customers, resolving unexpected problems with finances, motivating employees, responding to changing market conditions and so forth. Often, they end up constantly having to put out fires. In that sort of situation, of course, they don’t have time to test multiple translation management systems, choose the right one, develop a process for its implementation, and so on. They realize that this is important, but there are always more urgent matters that can’t be put off until later. And if they don’t have enough time for those obligations, then they’re certainly not going to have time for a radical reform like the introduction of a TMS. But if you think about it, by this logic, the cause and effect are backwards. If there are constantly urgent matters that are hanging by a thread, that might be a consequence of the fact that the company has not implemented a system that makes it possible to streamline such matters. After all, the main task of such systems is to speed up and simplify the work of project managers and their bosses. — the boss can see, at any time, the stage that any project is at, what a particular employee is working on, if an invoice has been issued; they only need to look at the updated record in the company’s database. In business, there’s never enough time. But you can always find it for those things that you consider important. It’s not about a lack of time, but rather about prioritization. Imagine the following situation: a group of people are given carts with square wheels and are asked to use them to move a load a distance of 10 km as quickly as possible. Most of them will agonizingly drag their carts, trying not to fall behind the others. But a few will let the others get a head start and will instead spend 15 minutes replacing the square wheels with round ones. Every minute of delay will pay off a hundredfold and save them time and energy. It’s the same with management systems: a few months after its implementation, you won’t even be able to imagine how you were able to work without it. Anyone who uses it will agree. And they would be up in arms if you ever suggested getting rid of it. No one likes dragging a cart with square wheels. This is a question of arithmetic. Take the monthly cost per employee of using the system and divide it by the employee’s hourly wage. Suppose, for example, that the cost of a monthly license comes to 40 euros per employee, and you pay them 10 euros an hour. That means that the system would pay for itself if it saved four hours of that employee’s work per month. In reality, it will save you a lot more time than that. And if each of your project managers can manage more projects, you won’t have to hire additional employees if your orders suddenly increase. The time that is freed up can be used on training employees or completing tasks that you didn’t have time to get to before. Not using a business management system is much more costly than using one. By not using such a system, you end up paying your employees more, as they’ll be spending precious hours on routine work that a computer could perform in seconds. No two companies are alike. They all provide different services, work with different clients, and they have different corporate cultures and management methods. Some have a strict dress code; in others, employees can show up in ripped jeans. Some will complete orders only after prepayment, while others will only pay a month later. At some companies, project managers simply transfer files and, in reality, play the role of dispatchers; in others, they negotiate prices with customers themselves. Most translation project management systems were originally developed for specific companies and subsequently produced as commercial products. And immediately after release, the developers realized that while the program was just about ideal for the original customer, it didn’t suit many others. The developers collected feedback from existing and potential users and gradually added new features in an attempt to make them more universal. But there was a side effect: because of the huge number of functions involved, some systems were too cumbersome and complex, especially for new users. As a result, systems are divided into two types: “spaceships,” offering plenty of functionality but requiring special training, and “bicycles,” which are not so powerful but are easy to learn and work with. You’ll find shortcomings—from your point of view—in any system. For another company, however, they might be features. Whatever the company, there is a management system on the market that can take care of 80 percent of its tasks. All that’s left is to find a solution for the remaining 20 percent. That is, the number of unresolved issues will decrease by 80 percent, which is already quite a lot. It’s important not to go to extremes and not to look for the ideal solution: choose the best one and implement it. The developers might even add any missing functionality if you ask them to. 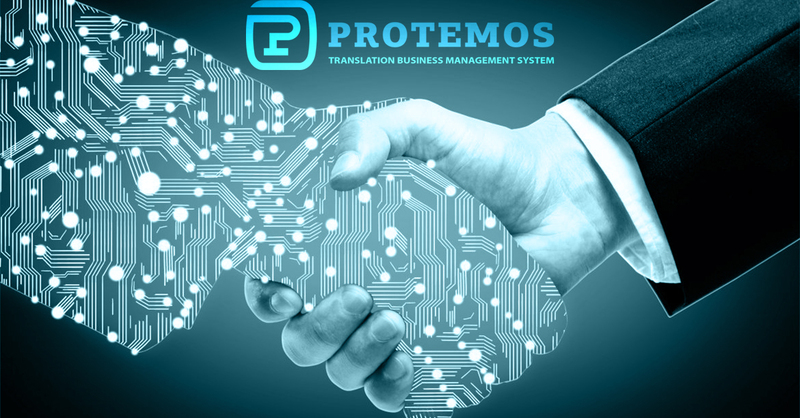 Together with the system, you’ll also acquire the business processes used by other translation companies that were added to the system in response to their requests. Perhaps you’ll even embrace something and adapt it in your own company. This is an option for perfectionists, for those who are unwilling to compromise and implement existing solutions. By developing your own program, you can certainly take into account all the nuances of your company’s work, without adding any unnecessary functions. This approach has one significant drawback, however: the high cost. You’ll have to hire programmers, give them technical assignments and wait for the results of their work. It will take about two years to create a management system of average complexity. Multiply a programmer’s monthly salary by the number of programmers involved in development, and then multiply the resulting number by 24: that’s how much two years of their work will cost you. And when the system is ready, you will need to provide technical support and keep improving it to keep it from becoming obsolete. In other words, developing a management system is a fixed cost that is an order of magnitude higher than the cost of a ready-made system. Creating a system from scratch is an option for only the largest translation companies. 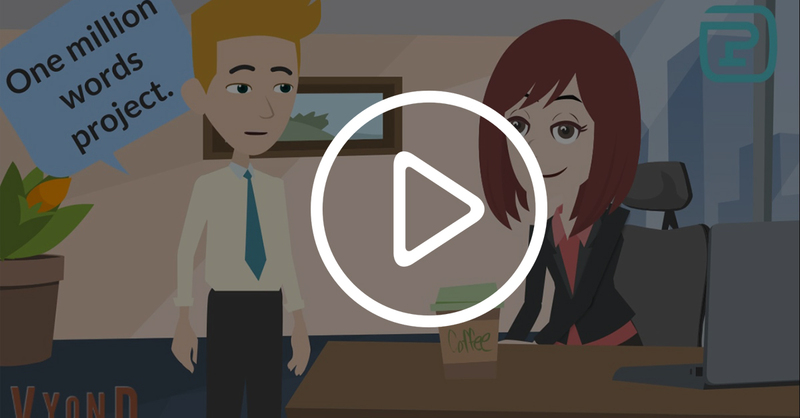 A company with small turnover should choose an existing management system. Whatever translation business management system you choose, it will take your company to a new level, and you will free up time to improve your company’s business processes. The main thing is to take the first step and not to put it off for later.